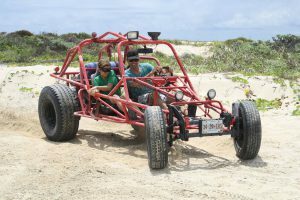 At Dune Buggy Adventour we offer an extreme type of fun! It’s up to you to meet our Rail Dune Buggys and ride them for the experience of a lifetime. First off, these buggys are built tough! 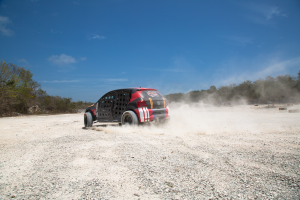 A bright red rail body with all-terrain wheels with a 1600 Volkswagen engine that roars like a beast. Then get ready to go off-road! 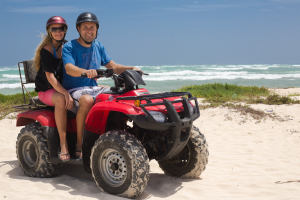 Drive through the jungle for an amazing and relaxing time at Punta Sur park lighthouse, museum and ecological reserve or yo can drive through open road to the famous San Gervasio park for a special look at the mayan ruins in the island. This is a family experience that no one can miss out on, make your reservations now and get ready for the adventour! 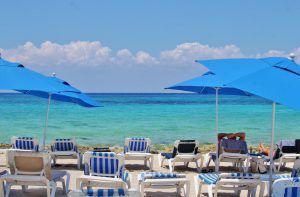 ← Snorkel at Playa Uvas!